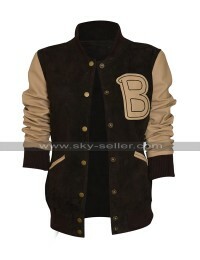 This is a varsity bomber jacket to enable you to hog the limelight anywhere you choose to wear it. 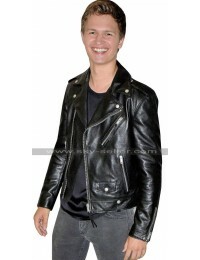 It is a replica of the letterman jacket which actor Ansel Elgort wore in the movie Baby Driver. 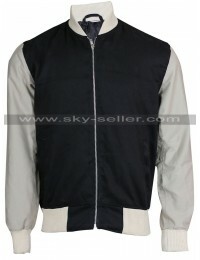 He played the character of a driver obsessed by music and looked smart and handsome wearing this blue and white jacket. 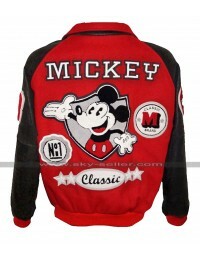 Now you too can impress all your friends by owning this jacket as it will make you look stylish and sporty at the same time. 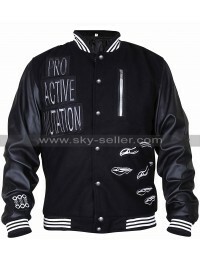 The jacket is very eye catching because of its unique designing and features. 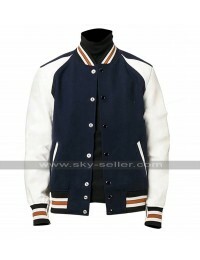 It is made of fleece and it is as comfortable as any outerwear you can get in the market. 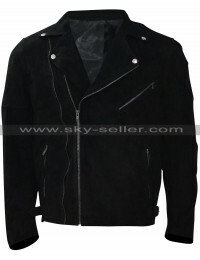 You can wear this jacket casually in the outdoors while moving with your friends and also when taking part in adventurous activities.